When All Eyes Are on You, How Do You React? As marketers, we know that having a strong brand identity comes from living your brand’s mission, values and voice. Knowing who you are as a brand is an important part of selling what makes you unique. You’ve heard us say it before: Stand for something, but don’t stand for everything – and certainly don’t send messages that aren’t true to your brand. The ads for Super Bowl LII featured a few brands that missed the mark on communicating the shared values of brands and consumers. The most notable examples were T-Mobile and Dodge Ram. T-Mobile’s Super Bowl spot featured infants from different backgrounds lying peacefully on a gray background and delivered a message of empowerment. The voiceover, provided by Kerry Washington, emphasized equality and striving for your best. T-Mobile CEO John Legere said of the ad, “We wanted to use our air time to further [the] conversation by making this simple point: We all started in the same place. We are more alike than different.” But many viewers felt that the spot, from a company whose ads typically feature celebrities and a focus on T-Mobile being the “un-carrier,” fell flat with its new approach. There were good intentions, to be sure, but what could have been a powerful message ended in confusion when the T-Mobile brand was revealed at the end of the spot. Next on the list was the controversial Dodge Ram spot featuring, as its background audio, a speech by Dr. Martin Luther King Jr. on the importance of service. The ad closed with “Built to Serve” on the screen in an attempt to tie the brand to Dr. King’s impactful words. Criticism flew fast and fierce after the ad aired. Twitter users questioned the brand’s integrity for using words from such an impactful leader and public figure to sell trucks. Here, we saw another example of a potentially powerful message falling short because it didn’t sync with the brand’s identity. Staying true to your voice comes with a deep understanding and appreciation for the strategy behind the brand. There were some powerful spots that tracked with impactful insights, and viewers could follow the perception to the strategy and then to the creative. But we also saw some serious flops. Diet Coke’s spot featured actress Hayley Magnus with the new mango-flavored Diet Coke. The piece was originally developed for social media, but was selected by the company to air during the Super Bowl. While it’s clear Coke was targeting millennials with the ad, there wasn’t much else about their strategy that was apparent. What might have been a great piece for social media wasn’t fully developed for a live audience and one of the biggest entertainment events of the year. The biggest wins belong to Tide and Amazon. 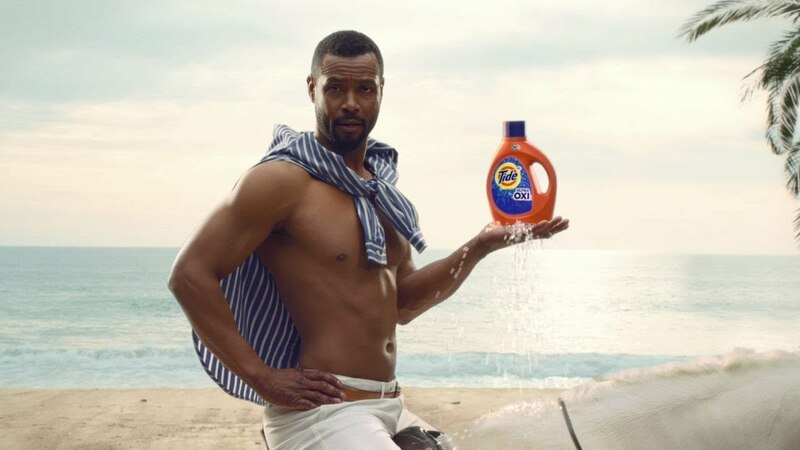 It’s quite possible Tide won the Super Bowl (sorry, Eagles) with its “Every Ad Is a Tide Ad” spots. “Stranger Things’” David Harbour kept everyone wondering where we would see him next throughout the evening, and the brand struck the right balance of simplicity, humor and the unexpected with its focus on what the product does best: get clothes clean. The second win of the night came from Amazon, with its Alexa spot. Alexa’s voice is the number-one way consumers interact with the product and its most iconic feature. But with simple and very human questions, they reimagine life without her. Simple, strategic insights that tie consumers to the brand and creative. Super Bowl is a time of tradition for sports lovers and snack lovers alike. The broadcast draws a live audience of more than 100 million viewers, and that kind of access drives a steep price for advertising. This year’s cost to play for brands was approximately $5 million for 30 seconds. With that many eyes on the screen and that much money on the table, is it time to play it safe with your brand or shoot for the stars? We think it’s time to shoot for the stars and be the most inventive you can be, both with strategy and creative. If you don’t take risks when it really counts, when will you? Keep your messaging true to your brand, your strategy simple yet unexpected, and your creative executions sharp, and you’ll see your bold ideas pay off. 2017 was a divisive year for many. As marketers, we owe it to ourselves and our customers to make 2018 a bold year full of authenticity and pleasant surprises.